On April 8th, SAADA will host Where We Belong: Artists in the Archive, a day-long symposium in Philadelphia bringing together artists, activists, academics, and archivists to explore ways to challenge the systematic erasure of stories of marginalized communities in America. Five artists, including Joti Singh, will premiere prototypes of new works inspired by overlooked histories of South Asians in the US. Learn more and register now. 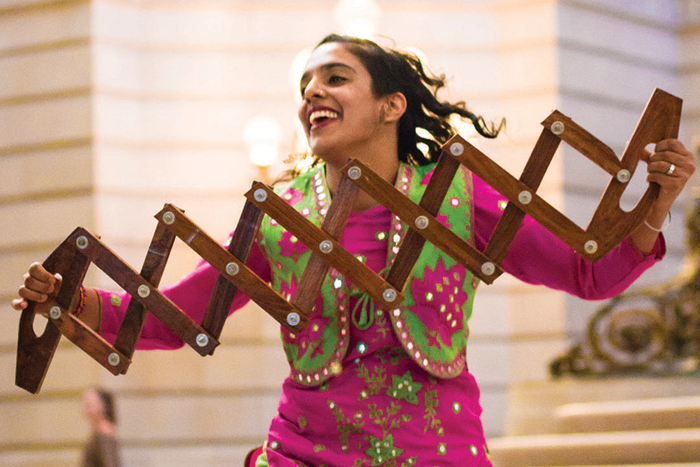 Dance choreographer Joti Singh was only 11 when she realized something that would stay with her for the rest of her life: she is the descendant of a freedom fighter. 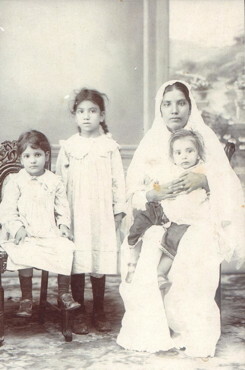 Singh and her family had been visiting relatives in northern India that winter. She remembers her grandmother, bedridden and wrapped in shawls, proudly telling stories in Punjabi about her father -- Singh’s great grandfather, Bhagwan Singh Gyanee. Bhagwan had risked his life to liberate the Indian subcontinent from British rule. In the 1910s, he presided over the Gadar Party, a movement that some scholars credit with contributing to the struggle for India’s declaration of independence in 1947. The memory of her great grandfather has invigorated Singh at different points of her life. As a child, her family’s accounts of Bhagwan’s struggle – and what he stood for -- helped Singh face the stings of discrimination in the conservative, predominantly white Atlanta suburb where she grew up. There were the times someone threw eggs at the family’s house, streamed toilet paper on their front yard and broke their mailbox. Singh’s family was the only Sikh household of color in the neighborhood, and she believes that’s partly why their home was targeted. Singh’s upbringing in a Sikh family in Georgia has influenced her career as an artist. She is a choreographer with a track record of exploring issues of race, ethnic identity and belonging. Her 2010 piece Half and Halves delved into the history of marriages between Punjabi men and Mexican women in California’s Imperial Valley during the early 20th century, and the racism directed at their multicultural children. 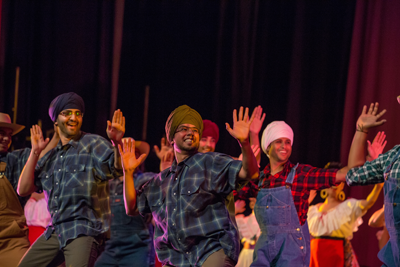 As the founder and Artistic Director of Duniya Dance and Drum Company, Singh regularly intertwines traditional Punjabi and West African dance and music on stage. 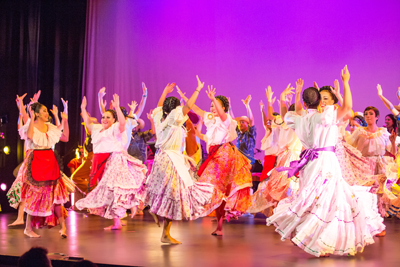 Her performances focus on the common experiences of colonialism between two seemingly distinct cultures, and how people used dance to express an independent identity. Singh’s pieces also celebrate diversity, and “the coming together in spite of, or perhaps because of those differences,” she said. 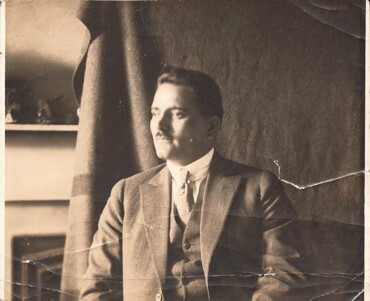 Her piece for the Where We Belong project involves studying dozens of images of her great grandfather Bhagwan and letters he wrote about the Gadar Party. Those materials were collected by Singh’s uncle from India and then digitized by SAADA. She plans to use that evidence to produce a new multi-media dance performance that will shed light on how the Gadar Party’s history translates to current popular movements striving for equality today. Her inspiration for this work comes from her initial bafflement over President Donald Trump’s election, and why some South Asian Americans voted for Trump, despite incendiary racial remarks during his campaign against Latinos and others. A majority of Asian Americans nationwide cast ballots for Democratic candidate Hillary Clinton, but nearly 30 per cent voted for Trump, according to exit polls. Singh, who is married to a Black artist from west Africa, said she has seen “a lot of anti-Black racism” within the South Asian community. She believes that is partly why some Trump voters of South Asian descent chose to overlook the racial undertones of the President’s campaign, and the potential policy impact of his administration for different ethnic groups in the country. Singh believes her project with SAADA, exploring lessons in collaboration from one revolutionary past movement, can foster constructive dialogue between South Asians of different political stances to improve solidarity and achieve greater goals. 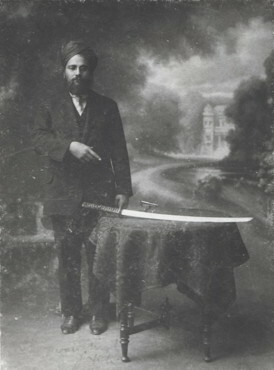 Singh is focusing on how the Gadar Party brought together Sikhs, Hindus, Muslims across continents to work towards the shared goal of Indian independence. The Party also collaborated with other revolutionaries, including Irish and Egyptian freedom fighters, she said. Studying the Gadar Party’s inner workings and legacy has become a “political education” for Singh, as well as a reminder of the incredibly rich history of her Indian roots. She realizes now that her great grandfather’s effort came at great personal cost to him and his family. Because the British government threatened to jail or kill him, he left India and did not see his wife and children for decades. The archive’s black and white images that chronicle decades of Bhagwan’s life trace the complicated and at times controversial story of a rebel, writer and lecturer. Some photographs refer to potentially deadly situations he survived: in 1913 in Yokohama, Japan, after he was deported from Canada and had escaped the ship that was taking him back to India; in 1917, in San Francisco, after he was arrested for his role in a conspiracy to start a revolt in India. Singh said those words laid bare real divisions among Indians about the prospects of independence at the time, and steep challenges to overcome those differences. She believes that today’s South Asians in the U.S. show parallels, with some helping to advance a potentially “oppressive” Trump administration, while others are “forming and joining the resistance on behalf of all South Asians,” she said. Singh feels the weight of the work that lies ahead, including figuring out how to capture and engage diverse audiences with her new dance piece. The goal is to promote productive dialogue. “I have to reach the various segments of the South Asian community so I'm not just talking to the people who already agree with me,” said Singh. She hopes to create a dance performance that reflects the platform of the Gadar Party -- embracing equality, liberty and rebelliousness – and her great grandfather’s struggle for a better life for all Indians.